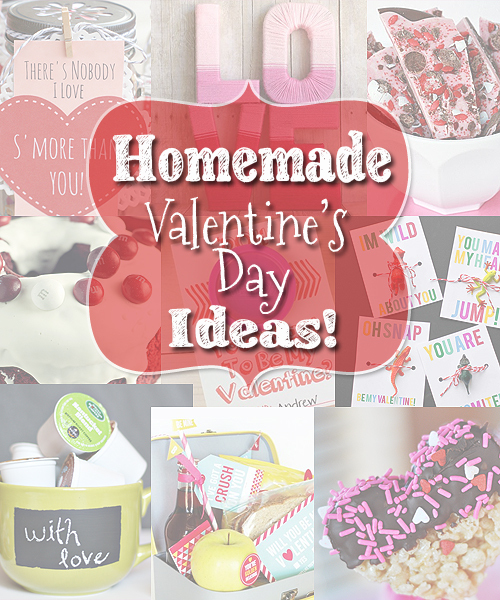 This February let’s go homemade Valentine’s Day! There is something special about taking the time to make a gift. To me it says that someone took their precious time to make something personal and memorable just for me – a homemade Valentine’s Day gift. So I put together a list to help you make your homemade Valentine’s Day fun, meaningful and easier. I hope you have the sweetest of Valentine’s Days! Play hookie and stay in bed all day…. I hope these ideas help you to put together a special Homemade Valentine’s Day!